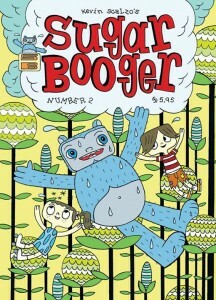 Your favorite candy booger makin’, candy booger eatin’ bear is back! This time around he’s distraught over the environment! That’s right, something is polluting his beloved countryside, and he’s dismayed to find out: It’s his own candy boogers that are stinking and littering up the place something foul! But don’t worry there’s still plenty of time for candy eating and boogers!